The Camp Kudzu Calendar Clock is ticking… Can you hear it? Summer will be here before we know it. We have a lot of things to get done in the office between now and the opening day of the session. Oh… the design for the camp t-shirt. This is a very important and nerve-racking process to go through- from design to style to color. This must be what it is like to be on the reality television show America’s Next Top Designer. 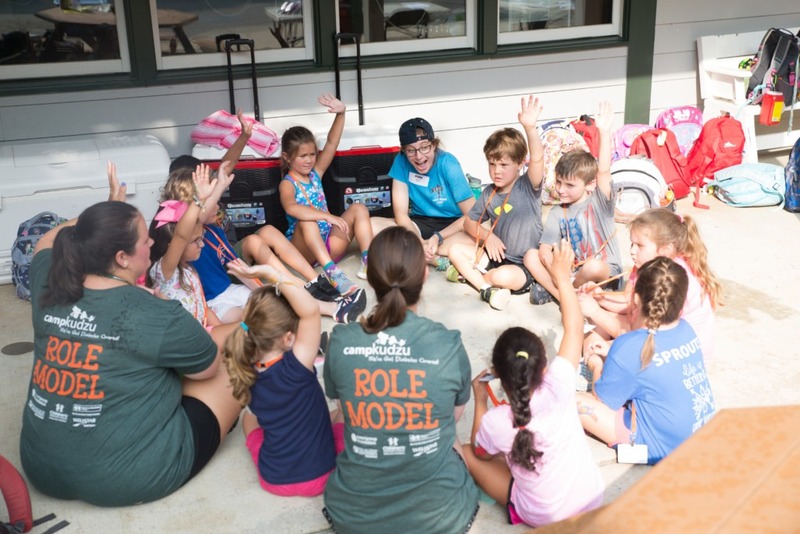 Typically, the Camp Kudzu Staff shirt is some variation of a camper t-shirt and plain and clear it reads— S T A F F.
That word means so much more than five letters in ink… The job is so much more than that of a staff person. Camp Kudzus staff are mentors, the best tamers of creepy crawly things, coaches, friends, persons with listening ears, persons with great advice, persons with experience in diabetes- from try this spot for your site to here’s a good way to work the lancet to yep, the milk cartons have 12 grams of carbs-, persons who know to start friendship bracelets, teachers, and much much more. Children do much of their learning by watching the important people in their lives. There’s a fancy scientific label social psychologists and cognitive scientists call this- “observational learning”. Us camp folk call it role modeling. Role modeling is, of course, more than simply the act of mimicking adults by children. Mimicry is one of the highest forms of flattery! Ask any camper about the role models in his/her life- you will quickly notice that these people influence their thoughts, feelings, and behavior… you will get an earful! Most likely you will see the said influence in the way children wear their hat, the words they use, and the way they state their life goals. Whether children are able to understand where they got such ideas, role models create one of the lenses through which they view the world. The Camp Kudzu staff have the opportunity each week to make those lenses see at 20/20 if not better. 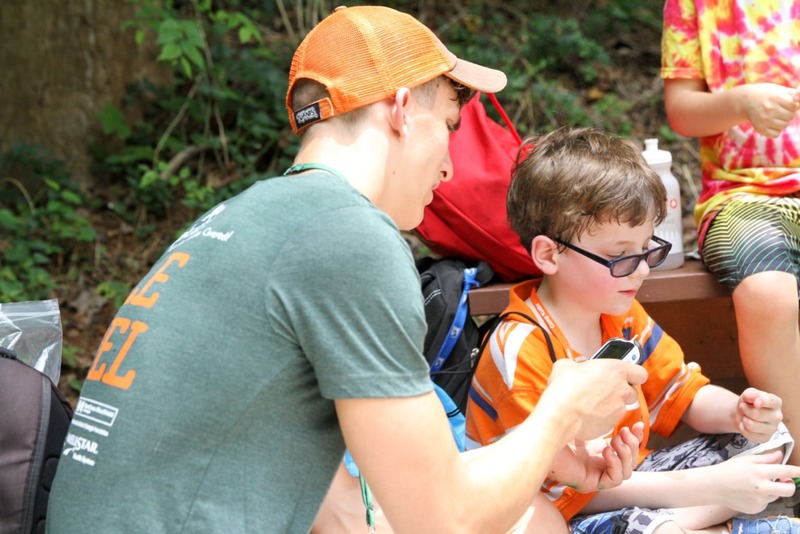 The staff’s role is to the be one of the “best” role models a camper has ever had. On opening day of the camp session, you will meet 125 plus of these best people who are ready to put on the Camp Kudzu staff shirt and rise to the occasion! You’ll know who they are- we labeled the back of them for you!